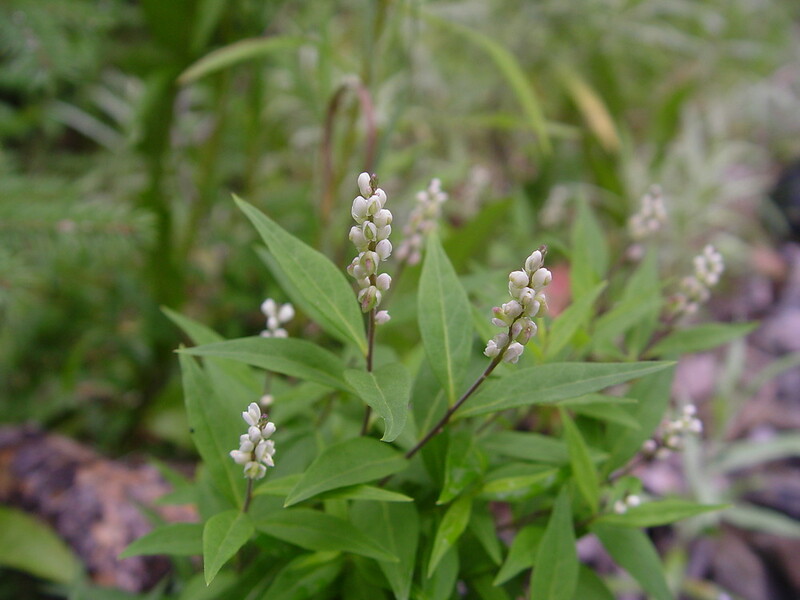 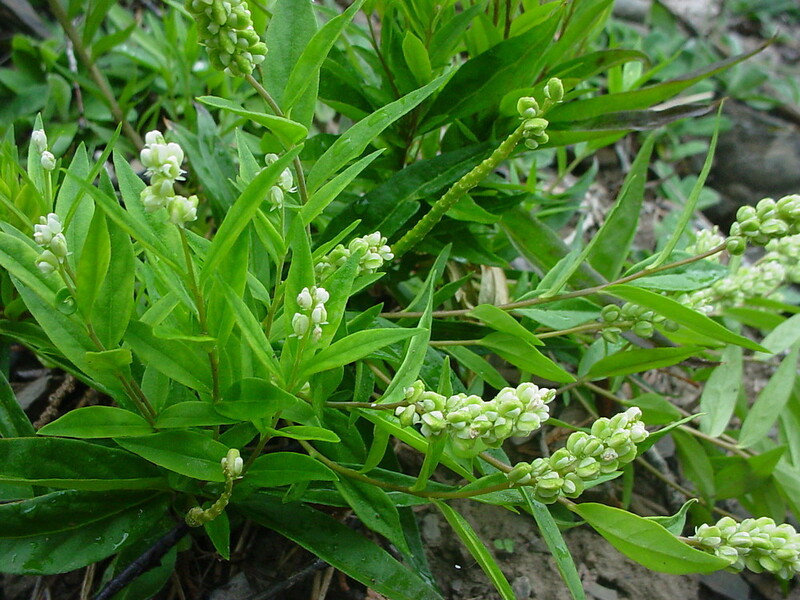 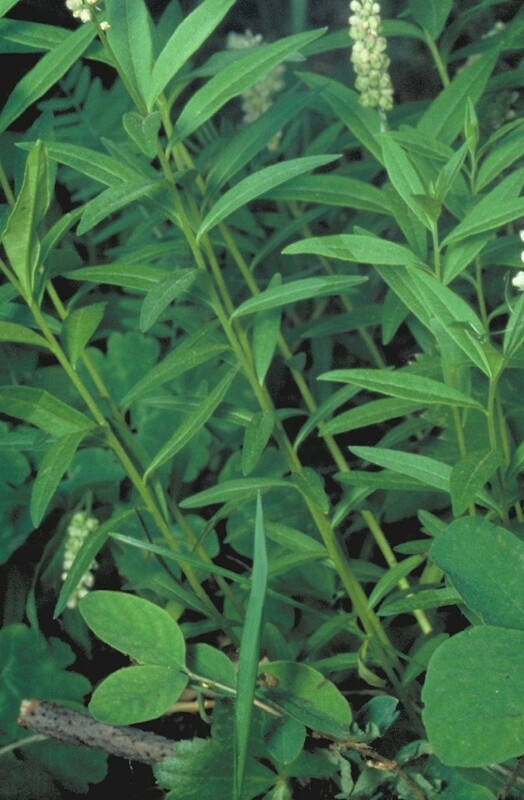 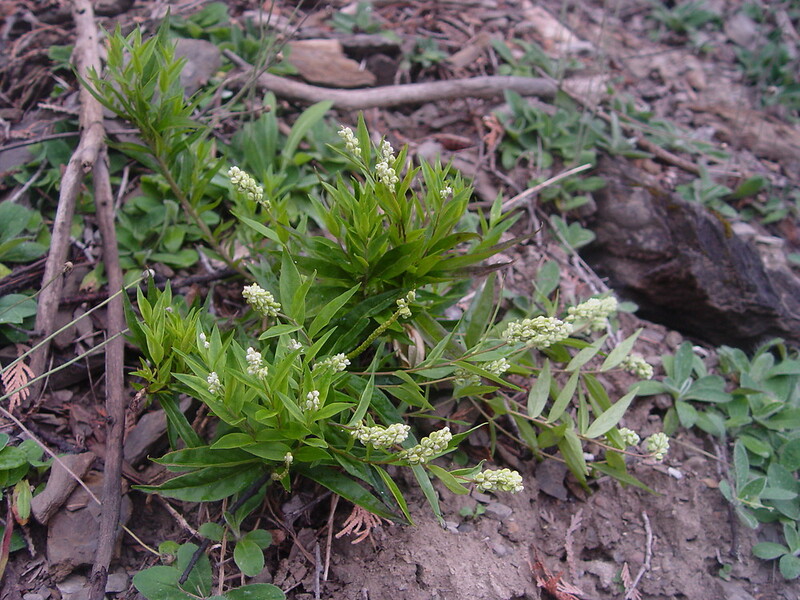 Seneca milkwort (aka Seneca snakeroot) is a native plant in western and northern New England. 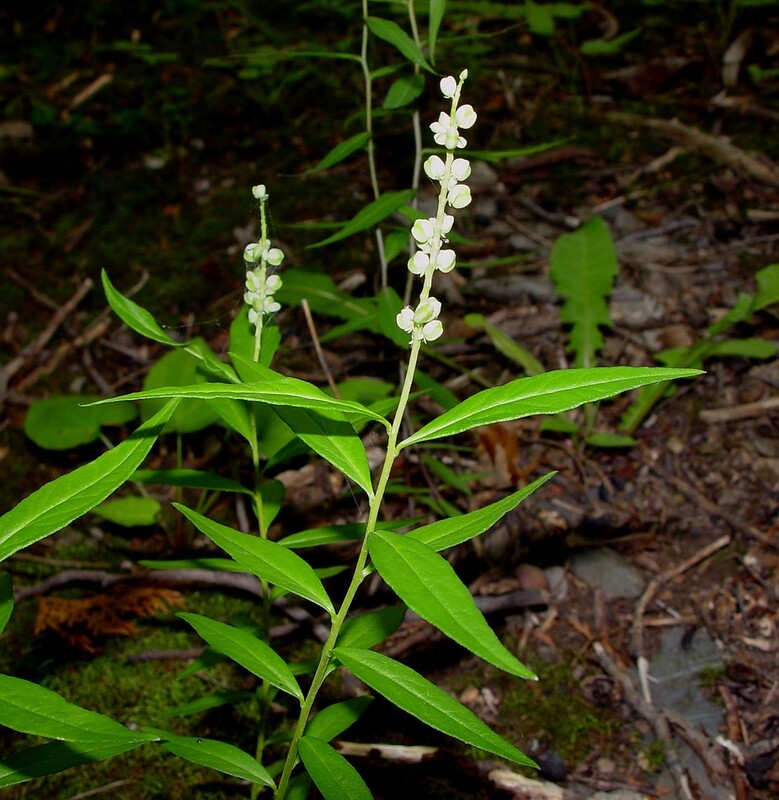 It is found on river banks and woodlands in limestone and marble bedrock and till regions, limestone headlands, and on ice-scoured river shores in the north. 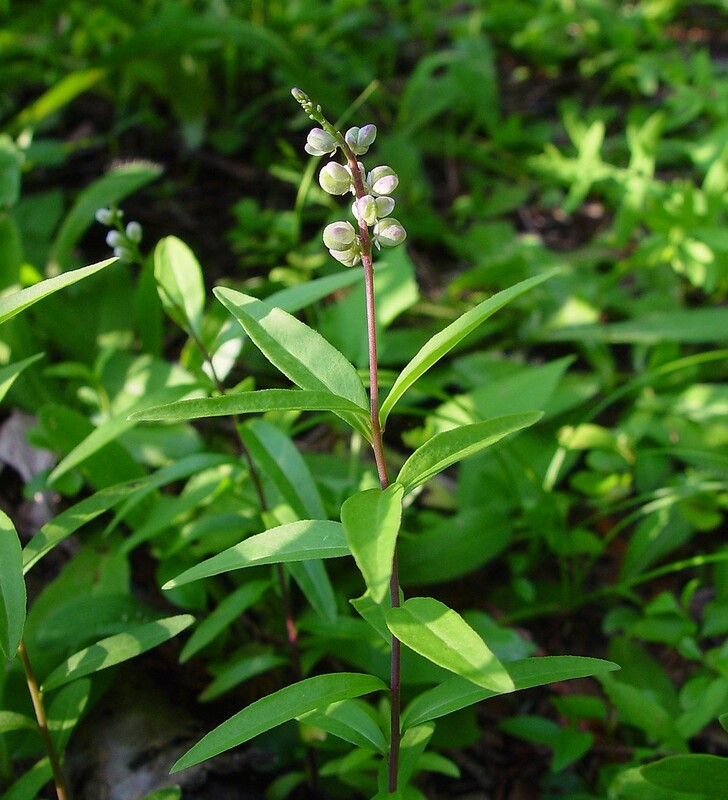 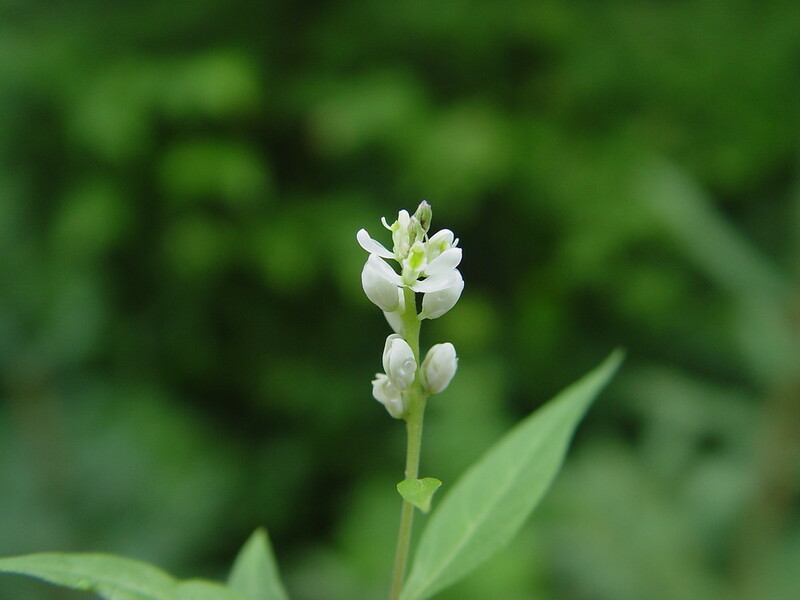 This perennial plant grows from a knotty rhizome and produces wider, toothier leaves than most other Polygala species in our region. 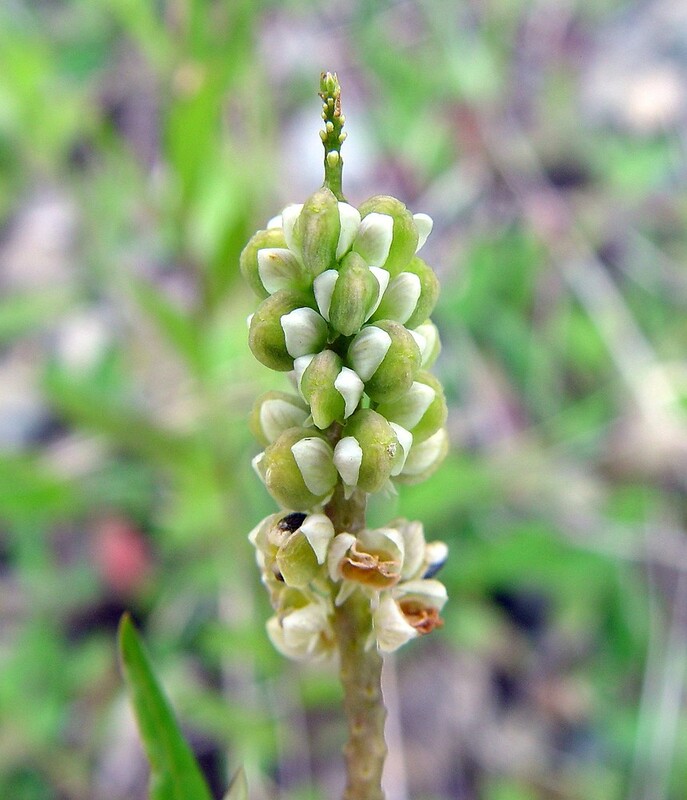 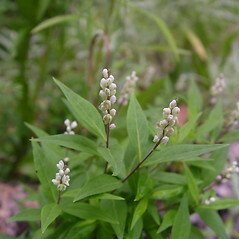 It has a densely clustered growth form. 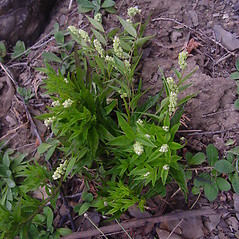 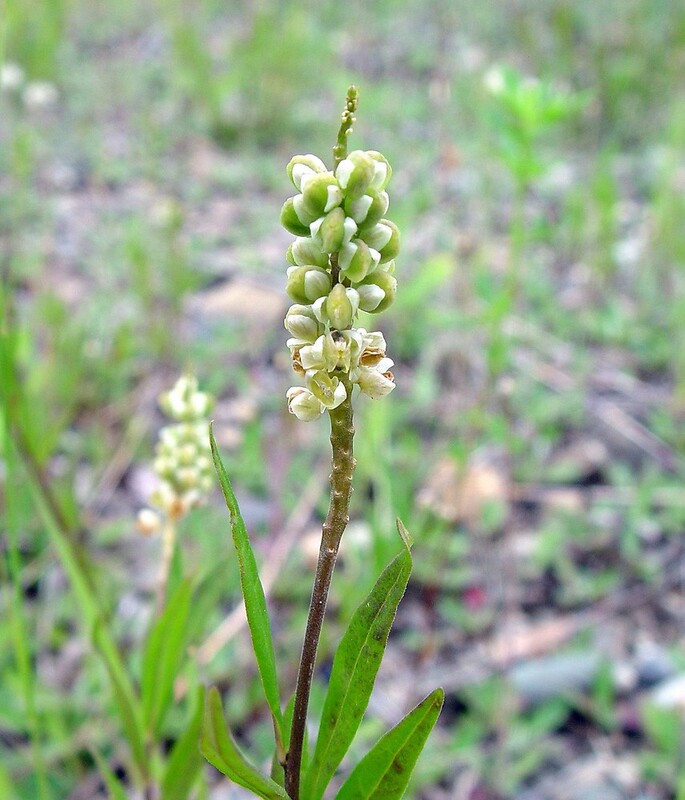 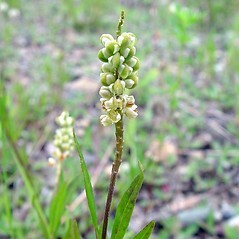 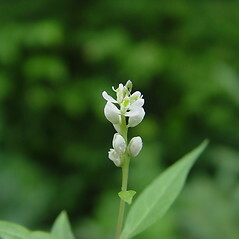 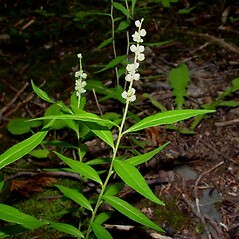 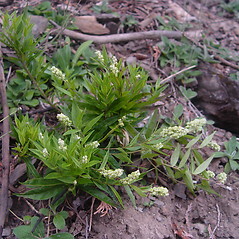 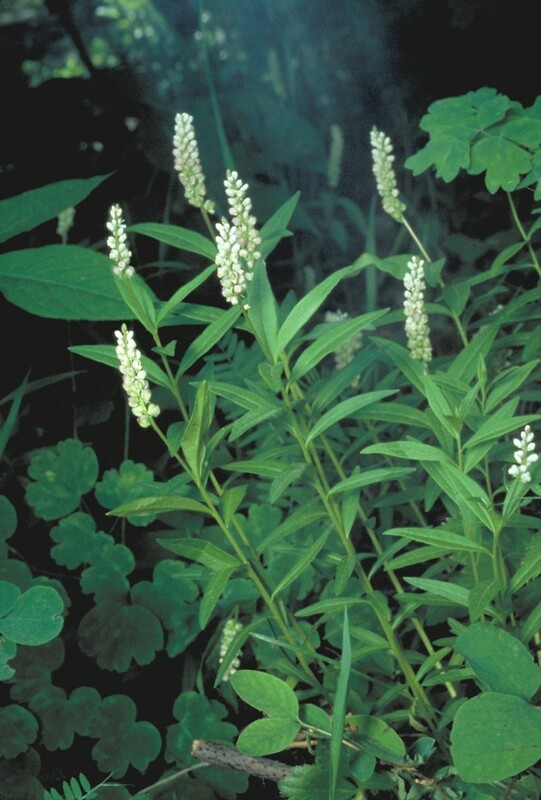 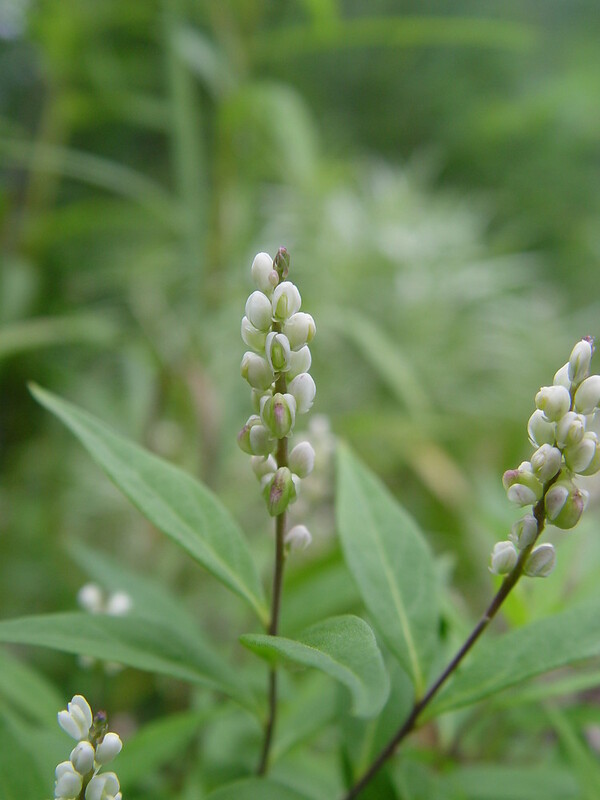 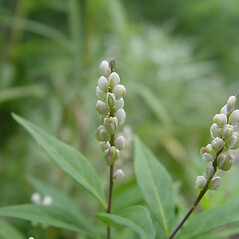 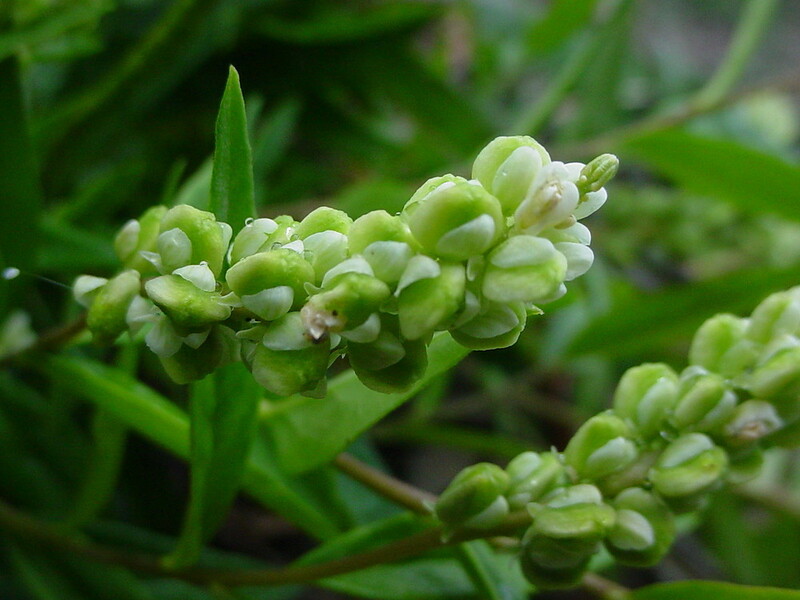 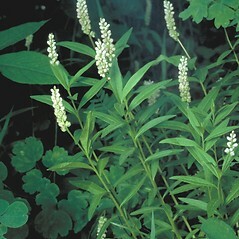 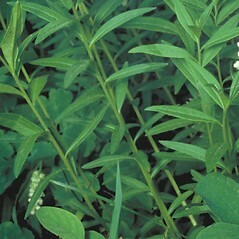 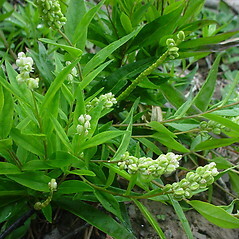 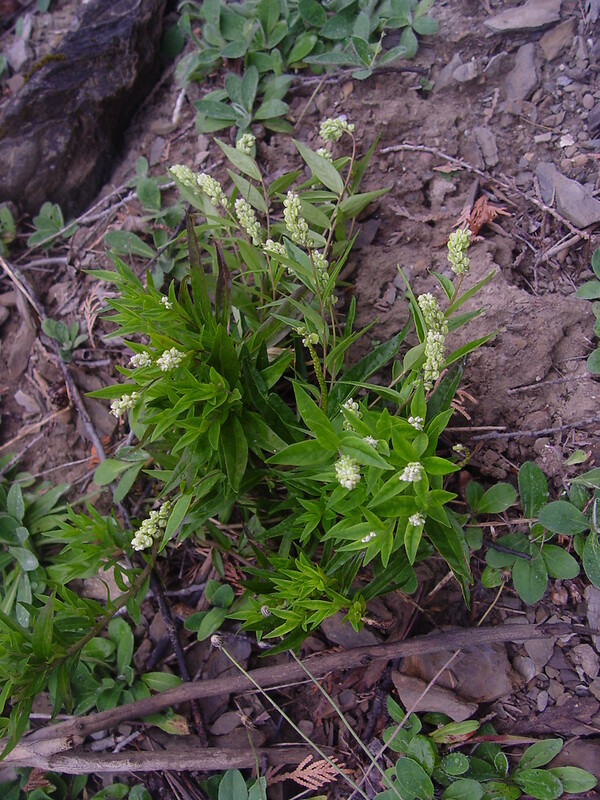 Spires of small, white flowers with keels and crests are produced in June and July. 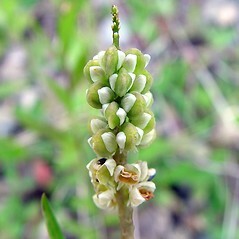 plants annual, the solitary stems arising from a taproot, and leaf blades 1–5 mm wide, entire (vs. P. senega, with plants perennial, with clustered stems arising from a hard, knotty root, and leaf blades mostly 3–15 mm wide, irregularly serrulate). 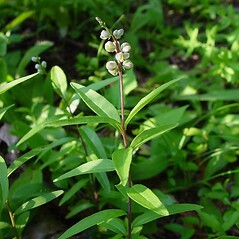 Seneca milkwort. 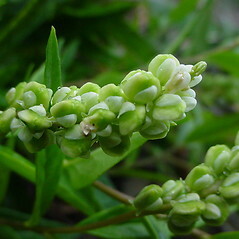 Polygala senega L. var. 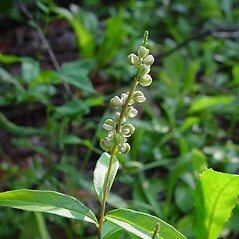 latifolia Torr. 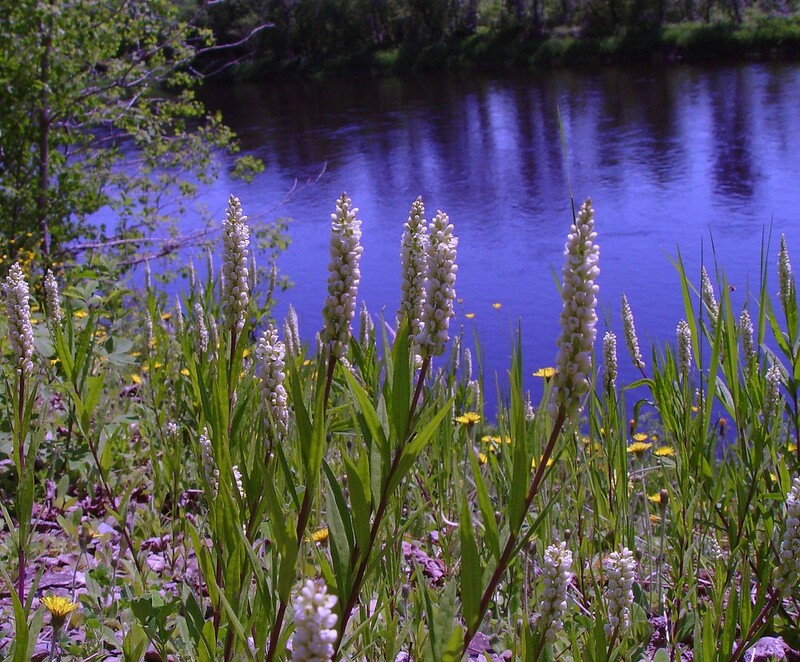 & Gray • CT, MA, ME, VT; western and northern New England. 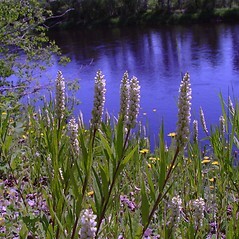 River banks and woodlands in limestone and marble bedrock regions, limestone headlands, also on northern, ice-scoured rivers, railroad embankments, roadside clearings in high-pH till regions.